SMALL Trees. Tractor 34" tree spade, digging 2.5-3.5" diam trees at the ground, 6-8' tall. 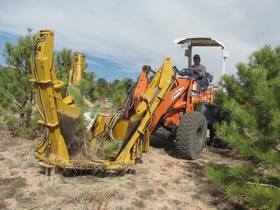 TYPICAL PROJECT: LOCAL PINES TO B F FIRE RESTORATION = 20 TREES, 7' AVG, $125 MOVING + $35 TREE = $160/TREE. MEDIUM Trees . Truck 65" tree spade, digging 4-7" diam. Trees at the ground, 8-12' tall. LARGE Trees . 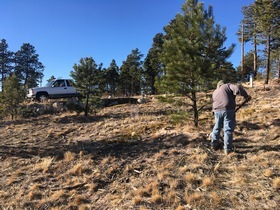 Truck 90" tree spade, digging 8-10" diam trees at the ground, 14-18' tall.